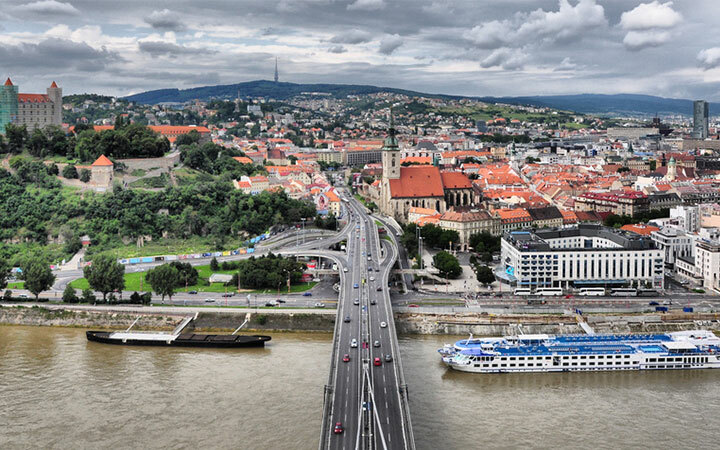 Slovakia has made significant economic reforms since its separation from the Czech Republic. After a period of relative stagnation in the early and mid-1990s, reforms to the taxation, healthcare, pension, and social welfare systems helped Slovakia consolidate its budget, get on track to join the EU in 2004, and adopt the euro in January 2009. Cheap, skilled labor, low taxes, no dividend taxes, a relatively liberal labor code, and a favorable geographical location are Slovakia’s main advantages to foreign investors. Before the financial crisis of 2008, Slovakia had experienced high and sustained economic growth. In 2007, Slovakia was the fastest growing economy in the European Union. In 2011 and 2012, Slovakia was the 2nd fastest growing Eurozone member after Estonia. Slovakia’s GDP growth in 2013 was one of the highest in the Eurozone. The main industry sectors are car manufacturing and electrical engineering. There are currently three automobile assembly plants: Volkswagen’s in Bratislava, PSA Peugeot Citroën’s in Trnava and Kia Motors. Estimated 77% of individuals with at least a tertiary education have a paid job, compared with an estimated 15% for those without an upper secondary education. Young people in the Slovak Republic, aged 15-24, however are facing difficulties with an unemployment rate of 34.0% higher than the OECD average of 16.3%. People in the Slovak Republic work 1785 hours a year, slightly more than the OECD average of 1765 hours. 91% of adults aged 25-64 have earned the equivalent of a high-school degree, much higher than the OECD average of 75% and among the highest rates in the OECD. The Comenius University of Bratislava has been listed by the Center of World University Rankings in 2014. Slovaks can expect to go through 16.4 years of education between the ages of 5 and 39.